ESP has been fully implemented in Massachusetts. To date, automated reporting of notifiable diseases occurs from seven clinical partners via ESP to MAVEN, the Massachusetts Department of Public Health's (MDPH) web-based integrated surveillance and case management system. Longitudinal reporting for chronic Hepatitis C, HIV, and Tuberculosis is currently in development, enabling MDPH to monitor the continuum of care of individuals with these infections. Atrius Health, Cambridge Health Alliance, Planned Parenthood of Massachusetts, Fenway Health, Partners HealthCare, Boston Medical Center, and Greater Lawrence Family Health Center participate in notifiable disease case reporting. 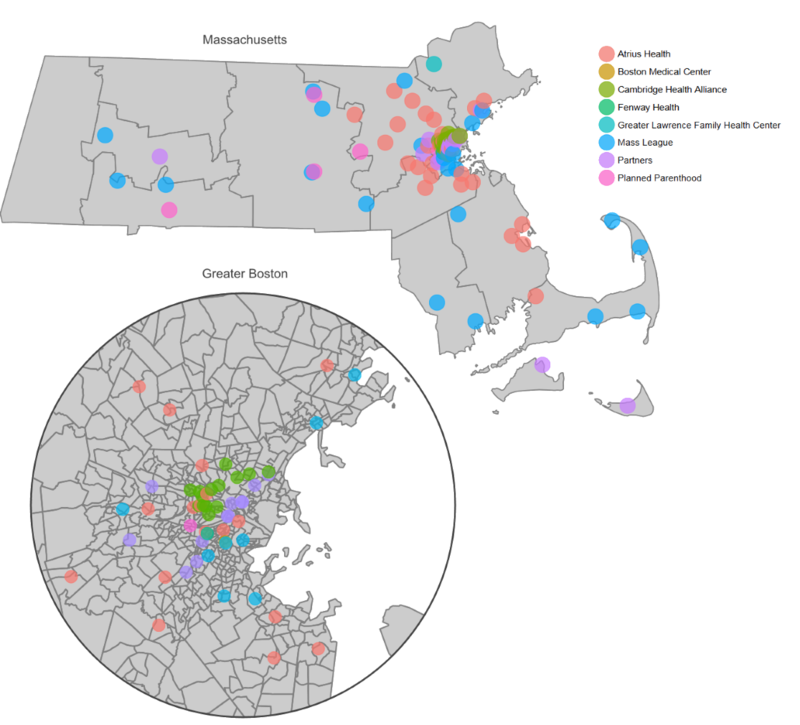 Massachusetts has also implemented aggregate-level querying and reporting capabilities (MDPHnet) at three clinical partners which collectively provide care for >20% of the state population. Our partners in MDPHnet are Atrius Health, Cambridge Health Alliance, and the Massachusetts League of Community Health Centers. Authorized MPDH users can submit queries for relevant health data to participating MPDHnet sites. Practices can review the requested query using an electronic workflow and choose whether or not to allow the query to execute against their local ESP data repository. MDPHnet can generate aggregate summary data on the incidence, population characteristics, and patterns of care for patients with the condition. Partner practices also have the right to query their ESP and MDPHnet instances for these conditions as well as submit custom queries. Sites can analyze their data against adjusted local population disease estimates derived from the census population. Hospitals and clinics retain full control over their data at all times. MDPHnet runs behind a collaborating practice’s firewall and only transmits data that are explicitly approved by the partner. For repeat or previously-agreed upon queries, the collaborating clinic can choose to automatically approve requests from a specific source to expedite collaboration and obviate the need to repeatedly approve identical requests. MDPHnet can generate aggregate summary data on the incidence, population characteristics, and patterns of care for patients with the condition. Partner practices also have the right to query their ESP and MDPHnet instances for these conditions as well as submit custom queries. Sites can analyze their data against adjusted local population disease estimates derived from the census population. Surveillance of chronic conditions such as asthma, obesity, hypertension, etc. Please see our Publications and Presentations page for more information. RiskScape, a web-based data visualization tool, was developed for the Massachusetts Department of Public Health using data from MDPHnet partners. Users utilize RiskScape to explore health conditions of interest by variables such as gender, age, race, city/town, and other co-morbidities.